Startupbootcamp IoT – a startup growth program for IoT and hardware companies – is coming to Berlin with the aim of meeting promising IoT startups. 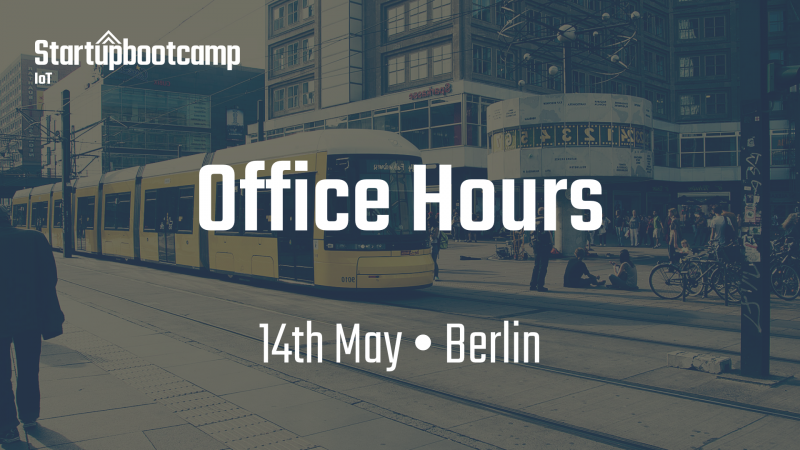 We’ll be hosting 1-1 meetings throughout the day to offer startups product and investor feedback, whilst also outlining where our program might be able to support in the future. Applications for our third program will open in April. As with last year we’re looking to support startups working on a hardware solution, with a focus on industrial internet of things, although this year we’re particularly keen to support high-impact startups using IoT to improve sustainability, the environment and society as a whole. Join us on 14th May simply by registering through Eventbrite here.